The following was sent to me by Anita Johnson, she is looking for information on her Johnson and Hale ancestors. My Father’s Father’s name was Herbert L. Johnson born in Duffield, VA in 1900. His Father’s name was Dr. John (Logan??) Johnson and his wife’s name Samantha Hale. They had two other sons, Kelly and Byron and somewhere there were Aunts, Ollie Mae/May and Georgia whom lived in Johnson City, TN and Church Hill, TN where they died. Whether they were related to my Fathers father or his father’s sisters I am not sure at this writing as I’ve forgotten!….But my father said when he was younger, they would visit them. Both never married and died alone in TN. I remember letters that Ollie Mae would send us from Tennessee back in the early 1970’s. I’ve yet to see the names of Ollie May or Georgia as daughters of any Johnson. Even in older census records after 1910. My Dad and I are trying to figure out his side of the family, and the photo I am enclosing, the original has on the back: JOHN LOGAN no date or anything. Supposedly it’s of my Great-Grandfather. Also enclosing a copy of Samantha Hale’s photo, his wife. Both were born around 1874. As I said it shows that, James C. Hale was her father and Barbara Jane Adams was her mothers maiden name. Perhaps you have heard of Samantha Hale? Maybe some one can shed some light as to whom Samantha Hale’s husband was other then UNKNOWN as stated on Rootsweb.com. I would appreciate any help you can assist me with. 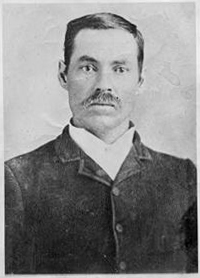 Dr. John Logan Johnson ( B- April 16,1854) ,( died-April 15,1922) in Lee county Virginia was my great great grandpa. Here is how we are related. Mostly from his second marriage to Elizabeth (Lizzie) Sizemore. (B-April,1888) , ( D-1954) They were married June 24th 1910 in Scott County , Va. John logan johnson was already a widow from Samantha’s death when he married Lizzie . 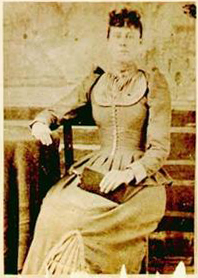 Lizzie hadnt been marrried but already had two sons ( Tom and George) from other men., when she met John Logan Johnson.Which john Logan later adopted. Then John Logan and Lizzie had two more children together a boy named Benjamin Franklin Johnson. and a girl named Adelle( I think thats her name will have to look at my family tree again on Ancestory.com,) the boy Benjamin Franklin JOhnson was my grand father. My moms parents were William “Floyd” Johnson and “Minnie”Texas Birchfield. William Floyd Johnson had two brothers George and Charlie Johnson all three men were born in Virginia. The three Johnson brothers then married three Bircdhfield sisters from Tennessee. The three Birchfield Sisters miother was named Lou Birchfield but she wasnt ever married. The girls father was a Cooper and Im still trying to figure out which one he was for sure but I know for a fact they are all Buried at Coopers Chapel Cemetary in Church hill , Tennesse. You were asking about Ollie and Georgie . Here is their connection….. I will have to double check my records again on ancestory .com under Shipley-Arcoren,Dodson,Long,Creech,Johnsons of East Tenn. and Tn. but I think this is right…. I know 1) Floyd Johnson married Minnie Birchfield, 2)George Johnson married Edie Birchfield, and 3)Charlie Johnson married Johnnie Birchfield. 2)George and Edie Johnson had Alice, Georgie and Ollie Johnson and yes I remember mom and aunt reva always saying that ollie and georgie never married. I found your message last night thanks to another (Hale) cousin. Bless her…if it was not for her I would have missed your message! I sent you an email last night. How cool that you too are related to my Great Grandfather Dr. John Logan Johnson! Now I know what happened with Benjamin! My Grandpa Herberts half-brother! Look forward to hearing back from you!!! Take care!! I am the granddaughter of Adell from Dr John Logan Johnson and his 2nd wife Elizabeth. My family and I would love to communicate with you to have more information on our relatives! My e-mail is tinamking@fuse.net. I have sent a message to Christina…I hope she receives it. Does anyone know anything about the Hales of Scott County and surrounding counties? My 3g grandfather was a John Hale, born around 1858. Looking for info about the Hale family origins and general stories about them. As far as I know, Dr. John Logan Johnson was married 3 times. He had children with his first and he had 3 boys, with Samantha Hale…Kelly, Byron and Herbert…my Grandfather. He ended up married a 3rd time after Samantha died when my Grandpa was a young boy….he married Elizabeth Sizemore. My cousin Christina posted that above your message here. He was quite a bit older than Samantha, thats for sure.